We provide you with news. And with new ideas. Please find on the right side our thoughts to current topics. Wyss & Partner invites to the event "Standpunkte" every spring and autumn. Our last "Standpunkte"-event took place on 20 March 2019. "Standpunkte Event on 20 March 2019"
Please find on the right side our comments published in newspapers. 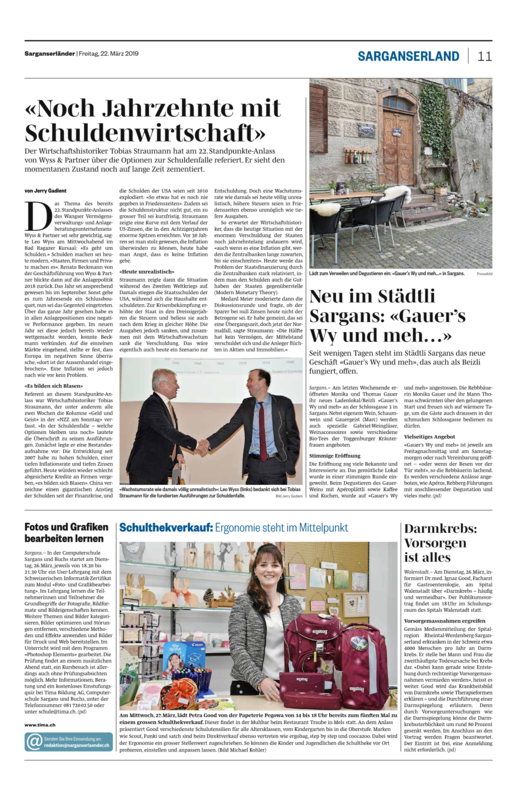 We are happy to present you the article "Der Aktienzyklus ist noch nicht am Ende" published in the newspaper Sarganserlaender dated 18th January 2019.